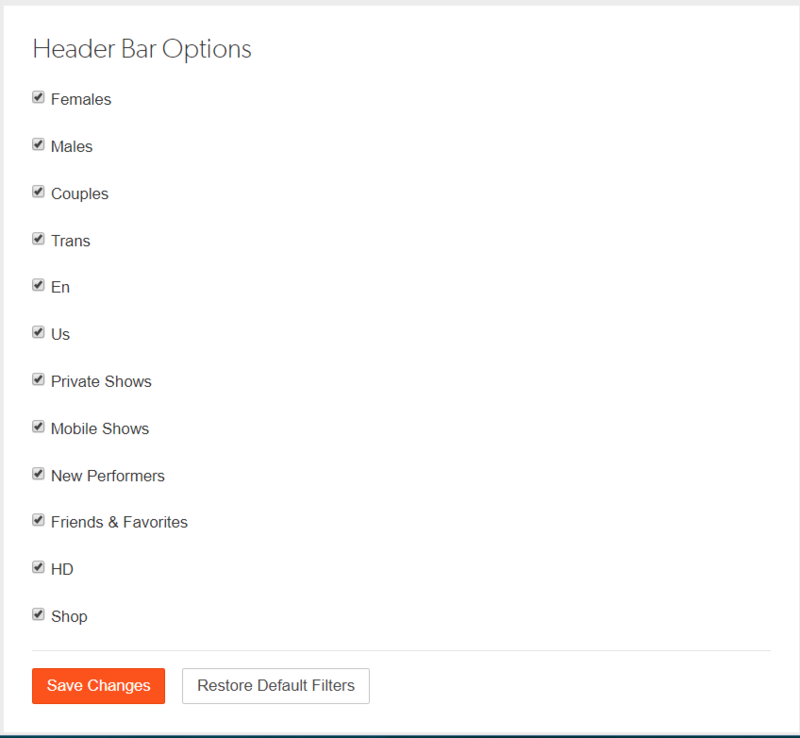 This will allow you to choose which Tabs are displayed on the Cam4 home page. By default all tabs are visible. You can then place a checkmark against those you wish to display. 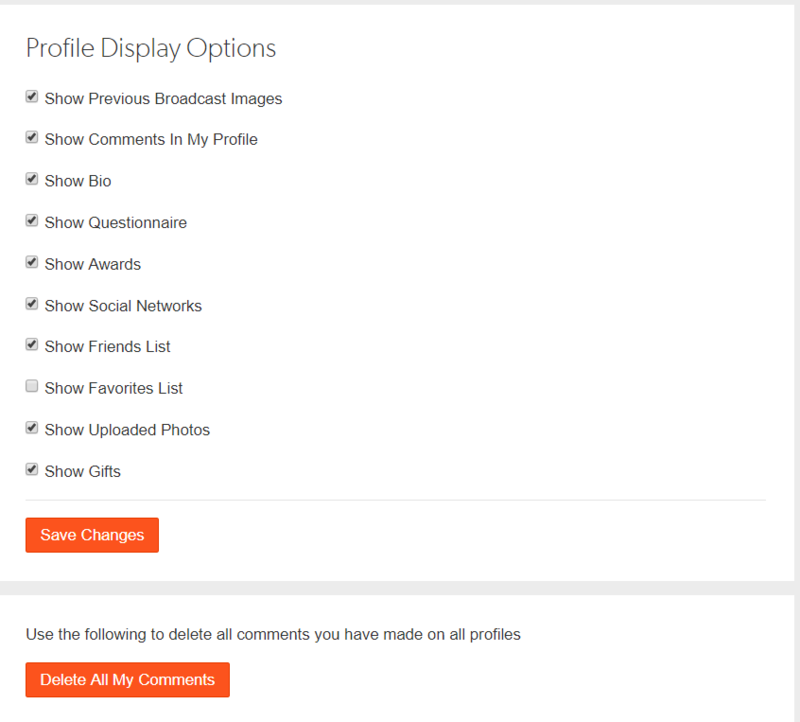 or remove the checkmark against those you prefer not to display. Once you have made your selections click Save Changes.